Here at OwnerListens, we’re always hard at work to make your lives more efficient. 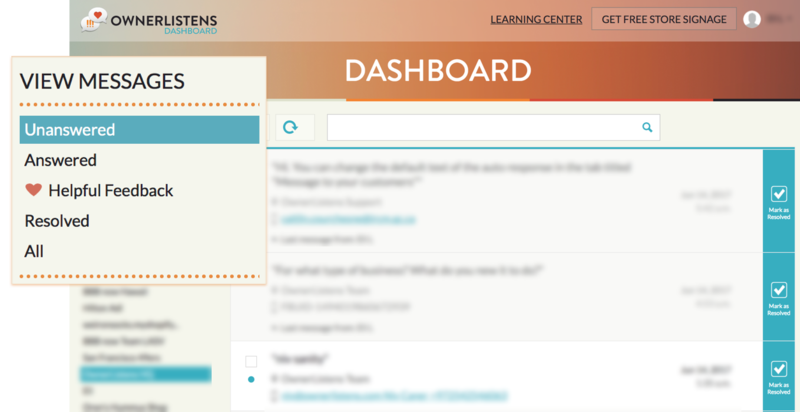 We’ve recently made a small but powerful change to the dashboard categories. 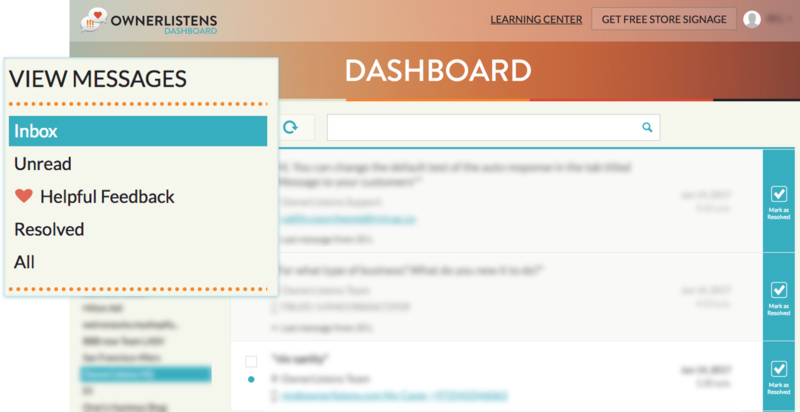 Make sure to refresh your dashboard if you do not see the change. As it turns out, the “unread” tab was not as useful as we first thought (only a handful of clicks per day across thousands of users). We can take a hint, especially when it’s in the form of data. So we decided, instead of using “Inbox” and “Unread” as the main categories, we will try something a little more action focused. Unanswered – This is where you’ll see conversations where the most recent message is from a customer AND the conversation is not marked as resolved. Meaning, this conversation is waiting for an answer by an agent. Answered – This is where you’ll see conversations where the most recent message is from an agent AND the conversation has not been marked as resolved (see below). Resolved – this category remains the same. When a conversation is marked as resolved it will remain here until it is unresolved by an agent or by a new customer message. IMPORTANT – Status changes between Unanswered, Answered and Resolved take place on the team level. This means that when one agent marks a conversation as resolved, ALL agents will see the conversation in their Resolved category. However, the read/unread status of a message changes on a per-agent basis. Meaning an unread message will only be marked as read if YOU read it, and vice versa.